The camera of the Huawei P30/P30 Pro is exciting. Both devices are equipped with three lenses, and the main camera is called "SuperSpectrum" with a resolution of up to 40 million pixels. 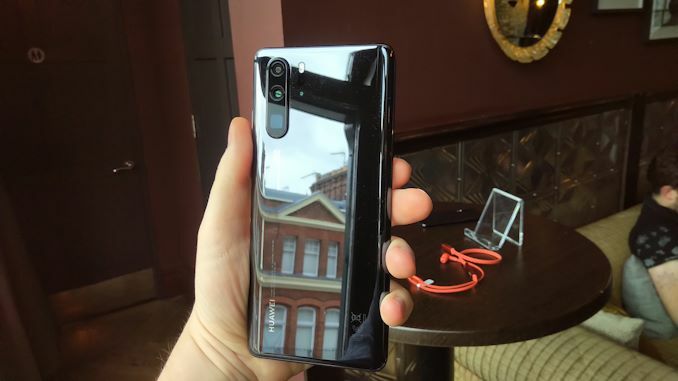 Huawei has used this 40 megapixel camera since last year's P20 Pro (and later Mate 20 Pro), but this is the first time we've seen it in a non-Pro version. SuperSpectrum is more friendly to low light, and its image sensor is responsible for sensing red, yellow and blue - yes - Huawei replaced the green with yellow. The lens features f/1.6 aperture and optical image stabilization (OIS) and is Leica certified. The other two lenses are a 20 megapixel wide-angle and 8 megapixel optical zoom lens, the P30 includes a 3x optical zoom, and the P30 Pro's zoom lens is an 8 megapixel f/3.4 5x zoom that supports IOS image stabilization. The above auxiliary sensor combined with a 40 megapixel main sensor allows the camera to support up to 10x hybrid zoom and 50x digital zoom. The P30 Pro's wide-angle camera is 20 megapixels and the P30 is 16 million. It has an f/2.2 aperture that replaces the monochrome sensor on the P20 series. 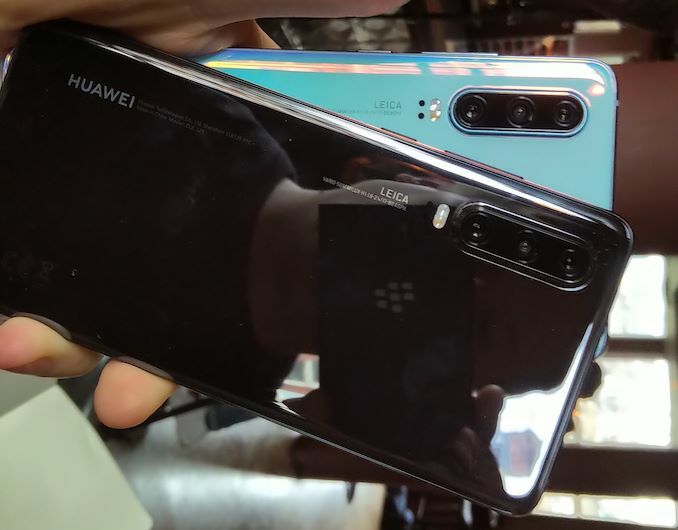 Huawei used this method for the first time on the Mate 20 series. In addition, there is a sensor on the back of the P30 Pro for measuring depth. 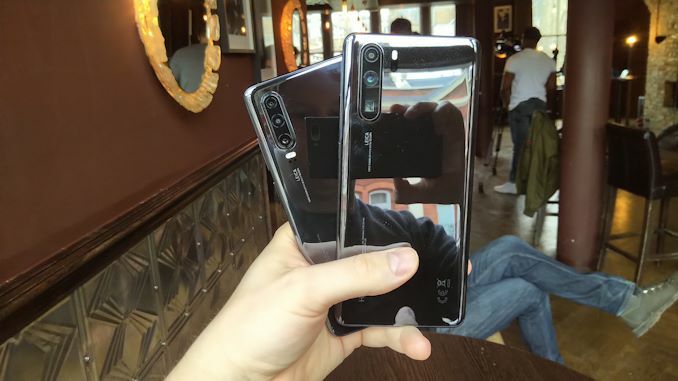 Huawei said that the new P-series improves image stability, such as night mode and video. The low-light performance has been greatly improved, and the ISO sensitivity has jumped from 102,400 to 409,600, which is known as "an image can be taken at a brightness of 1 lumen." The P30 Pro includes a 6.47-inch display with no handset on the front, magnetic suspension screen sound technology, support for under-screen fingerprint recognition, built-in 4200mAh battery (3650mAh for P30 battery), 40W fast charge and 15W fast wireless charge (P30 is not available). And the company's reverse wireless charging capabilities. Although you can use reverse wireless charging to charge another device, its output power is only 2.5W. The display screens of these two new products are in the form of water drop screens with resolutions of 2340x1080 and OLED screen structure with an aspect ratio of 19.5:9. The P30's screen is slightly smaller, 6.1 inches, and has no curved edges. Both devices come standard with 6GB of RAM and 128GB of storage. The P30 also offers a combination of 8GB+64GB flash, 128GB+256GB flash, and the P30 Pro offers a combination of 128GB, 256GB and 512GB storage. 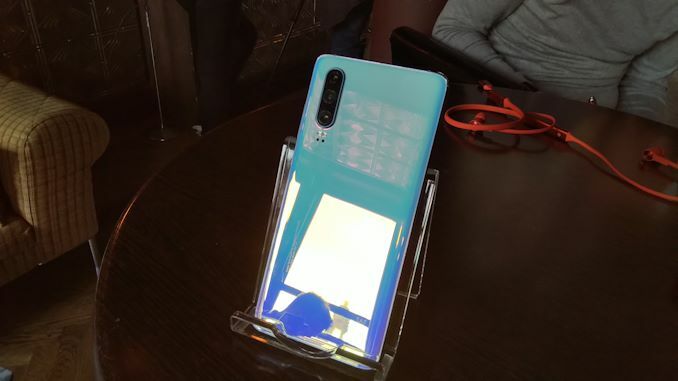 Both the P30 and P30 Pro will offer crystal, pearl white, aurora and black color, while the P30 Pro will usher in the new "sunrise" color that was leaked before.